Best Metal Detecting Finds Ever! Weather you are a seasoned metal detectorist or just a newbie this video is sure to spark that treasure hunter within. While most people are digging up pull tabs, bottle caps and the occasional coin, these people hit pay dirt as they made some of the best dirt fishing finds ever! 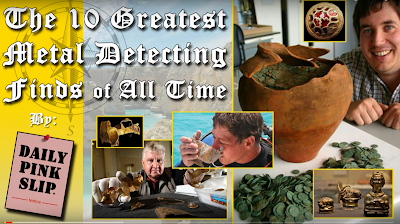 From a YUGE chunk of gold to a 17th century Spanish gold mug these metal detecting finds are so mind blowing you may just go out and buy a new metal detector. Keep in mind these stories aren't the norm. Dirt fishing, like any other hobby takes time, practice and patience. 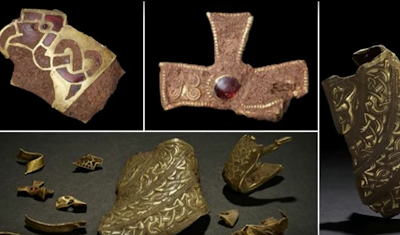 Though there is much luck involved, the keys to successful treasure hunting is research, location, and learning your equipment. 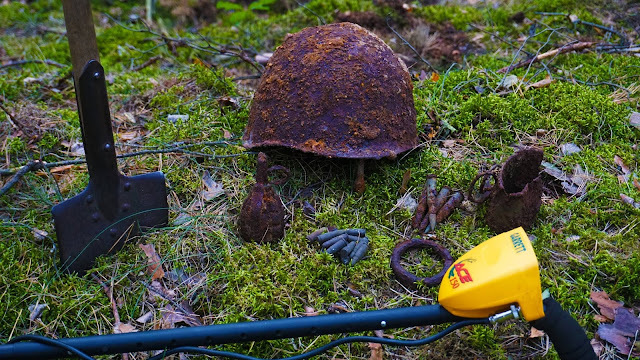 Spending top dollar on a metal detector isn't necessarily going to yield better results. The best thing you can do to increase your chances of finding the good stuff is practice even if these means setting up a mock hunt in your back yard by burying a variety of coins and other metal objects that are common such as pull tabs and bottle caps. Once you are confident in your machine and have an understanding of the different tones and settings you are ready to start hunting. As mentioned before location is key, you can hunt acres of new dirt and not find anything of value. New dirt refers to land that has been recently landscaped and altered by bringing in dirt from other places. What you want to look for is old dirt. This of coarse means dirt that hasn't been filled in perhaps from gardening or new construction. In order to find a good location you will need to do your research. Old maps can be very useful as well as a visit to your local historical society. Remeber, most good dirt fishing spots will require permission from the land owner. Be prepared to make phone calls and knock on doors. Best Dirt Fishing Finds Ever! Do you have a metal detecting find of a lifetime that you would like to share? Leave your comments below. Good luck and happy hunting.